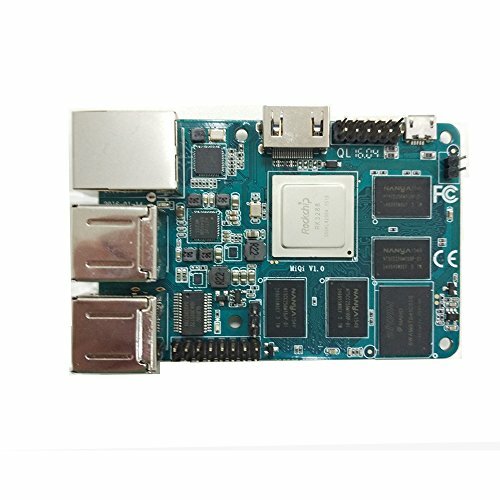 MiQi is a credit-card-sized high performance computer which is powered by Rockchip RK3288,Integrates quad-core Cortex-A17(up to 1.8GHz) with separately Neon and FPU coprocessor , also shared 1MB L2 Cache. Powerful GPU is embedded to support smoothly high-resolution (3840x2160) Support OpenVG1.1, OpenGL ES1.1/2.0/3.0, OpenCL1.1 Full-format video decoder, including 4Kx2K multi-format decoder. Support:Micro SD. Network:Ethernet- 10/100/1000M RJ45.